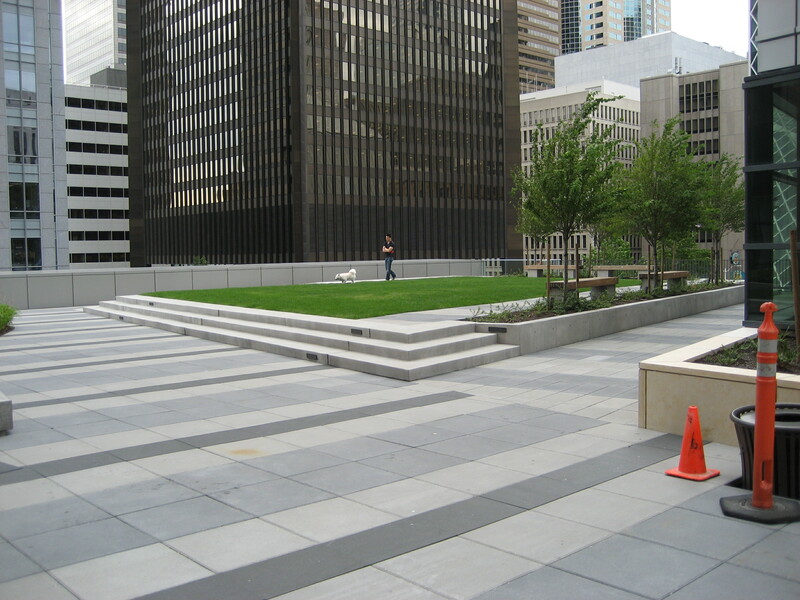 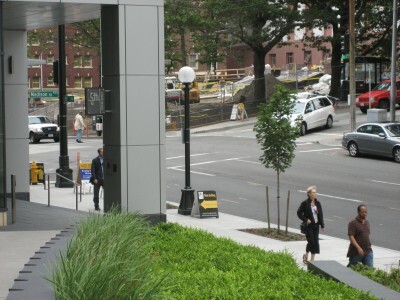 A mixed use tower and improved surrounding plaza built atop an existing parking garage, this urban project achieved LEED Gold certification and was completed in 2007. 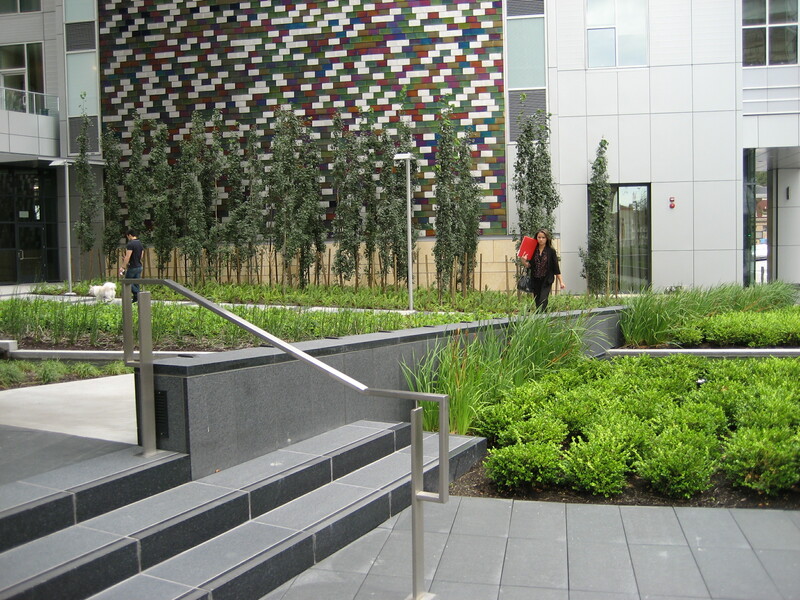 Onsite stormwater runoff is conveyed to a cistern, located in the dead space under the parking lot ramp. 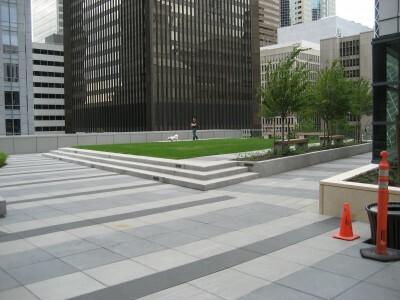 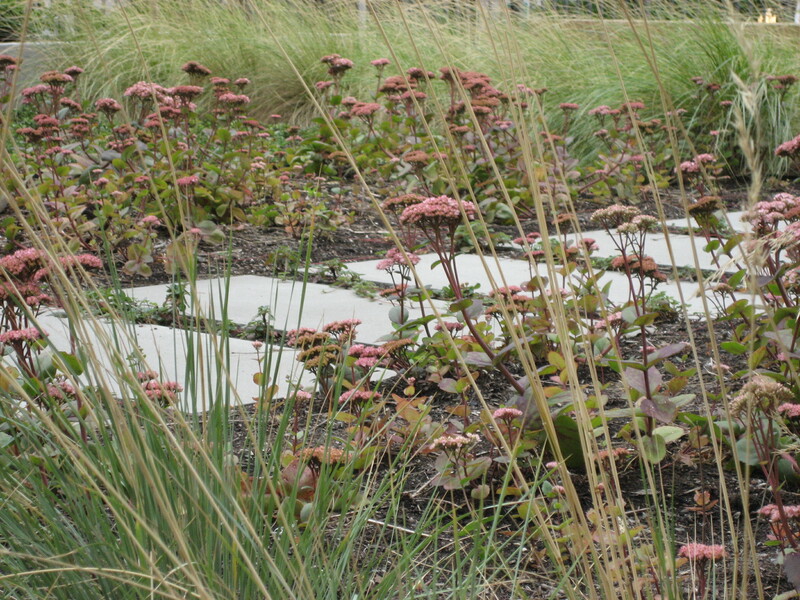 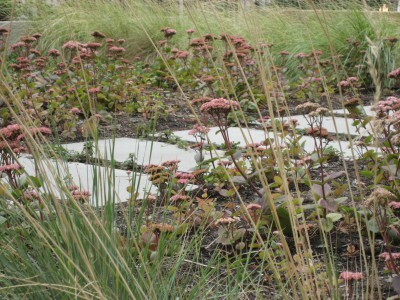 Rain water is reused to irrigate the green roof planters that enliven this urban site. 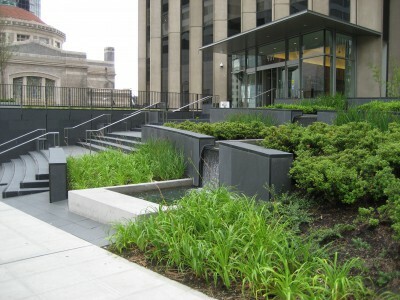 Robin provided the civil project management, site design, and sustainable site consulting for the green roofs, cistern, conventional utilities and grading. Robin also developed and permitted the four blocks of surrounding street improvement plans in downtown Seattle.